From all of the articles I’ve read, I’ve never seen anyone push out more than 7 reasons why a braai is better than a BBQ. Even though I’ve seen some great points – I personally don’t thats its acceptable for any South African to honestly believe there are only FIVE reasons? I can think of at least 10 just off the top of my head and I’m sure with the help of you reading this we could come up with at least 20. Either way I’m sticking to 7 in this article as I think it’s a round number, each point is more than justifiable and I think these points are ones we can agree on. AND because I’m all about putting one-up on the already well known 5 points. 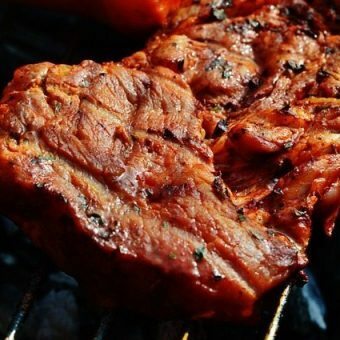 As I’ve been to the United States and have quite a few friends who are living there, I have myself experienced a BBQ, not to take anything away from Americans and maybe I’m just a solid patriot of South Africa but to me, their ‘cook-outs’ just don’t have that real ONS GAAN NOU BRAAI vibe. It really is something special. ‘ONS GAAN NOU BRAAI! It really is something truly South African. ONE – At a South African braai there is ALWAYS a chosen one! A true artist and a true master of the braai. The ‘chosen one’ is always held responsible for the fate of everyones meal and ultimately their braai experience. This is such an important part of our braai culture and it adds to the atmosphere and ultimately the ‘community’ feel of the entire experience. At an American ‘cook-out’ I noticed that everyone cooked their own meat and it kind of gave off this separated feeling. I know its a personal opinion but I’d much rather have the community feel as apposed to a each man for himself atmosphere. TWO – Gas just doesn’t have the same feel. This point I can’t really push as hard as I’d like as more and more South Africans are migrating to the use of gas. It’s quicker and it is a lot less messy and and and… but at the end of the day a TRUE braai is all about the fire. The starting and maintaining of the fire while you share a few dops with good mates is what its all about. Even to the point where I’ve been to braai s where perhaps the focus on dop and good conversation ending in a dead fire and a microwave dinner. This is not recommended but you get the point. Your fire is the most important aspect of your braai, without a decent fire, nobody eats! Learn more about how to dominate the duty of making a great fire here. THREE – Date and time mean everything and nothing. In South Africa a braai can literally happen at any given moment and you best be prepared to hit the local spar/picknpay, drankwinkel and get your goodies to partake in the spontaneous occasion. A BBQ seems so formal and the date is always set in stone, mostly important days and public holidays. In South Africa you could wake up on any given Sunday to a fire and braai. It happens, we’ve all been there. Basically any good ending to a story or event ends with a braai. I think a lot of this point is due to our fantastic weather here in South Africa…. FOUR – A braai is all about bringing people together. A point I’ve seen before but one I think worth mentioning again. It’s almost natural, the decision to have a braai. As soon as there’s more than 5 people involved it’s as if a switch in the mind of the South African is flipped and in perfect unison everyone thinks “BRAAI”. We even have a day every year dedicated to the braai and appreciating our heritage through the coming together of friends and family and enjoying our traditional braai! FIVE – It’s a tradition held equally by every culture and across all ethnic groups in South Africa. This point is really one I feel is probably the most important. In such a diverse country, any excuse to bring people together through a shared tradition(Especially considering South Africa’s history) is a great occasion and one that everyone can truly be proud of. 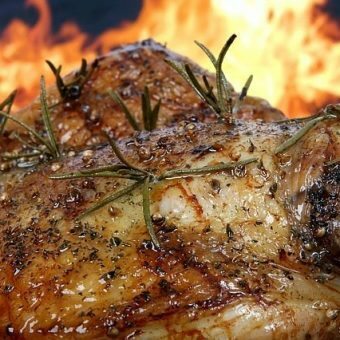 Even though ‘braai’ the word might stem from an Afrikaner background, African cultures have been cooking over fire just as long. Chesnyama is a great example of a cooking style enjoyed by many African cultures. With a combination of boerewors and pap(A traditional African staple) how could anybody not enjoy such a contrasting yet beautiful combination of African food styles. SIX – The mobility and ‘anywhere’ nature. In South Africa A braai can happen at not just any time but ANYWHERE! This is another home hitting point as a South African style braai is really not dependant on the equipment. I’ve seen some borderline/experimental excuses for a braai, in some random and unknown places. Regardless it is still a braai and that’s what it’s all about. A braai can basically take place in any environment, whether its on your neighbours stoep or in the middle of the Kruger National park, as long as there’s a fire and something to cook your meat on. 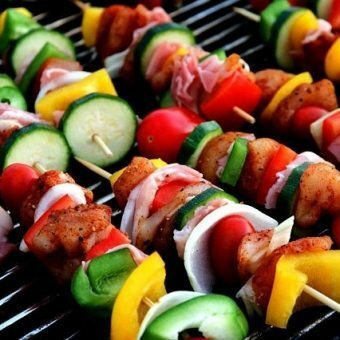 A BBQ generally requires a big gas BBQ machine with all the bells and whistles and as much as it can be great to cook on such a sophisticated piece of equipment, it’s not the be all and end of of the experience. In South Africa A braai can happen at not just any time but ANYWHERE! SEVEN – The amount of food and options! I would love to add more onto this list, so please give us a shout and send us your two cents! The Ultimate Guide to Buying a Braai that BEST suites your needs!